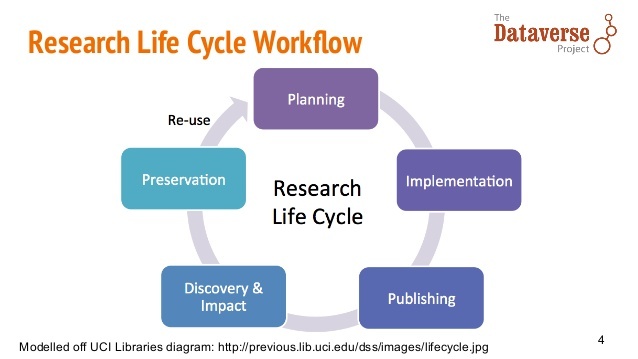 Learn how to manage your research data throughout the data lifecycle: including data management plans, data organization, file formats, as well as data sharing/re-use. 1. It ensures research data and records are accurate and complete making data understandable to people outside the project. 2. Data management and public access to data is a requirement of federal grant and funding bodies. 3. Journals and Publishers are also now requiring data to be publicly available. Managing your data from the beginning of the research project will save you time and effort later on. Find out more information about Research Data Management and resources available at FIU. Research data comes in many different forms and definitions of research data can vary based on the research community. Federal funding agencies also define data in different ways. Below are just a few examples of the varying definitions. NEH defines data as “materials generated or collected during the course of conducting research.” Source: Data Management Plans for NEH Office of Digital Humanities Proposals and Awards. Data management is the process of controlling the information generated during a research project. Research projects across disciplines result in data. Data is an expensive and vital component of a research project and managing that data appropriately ensures that the data can be accessed and used in the future. 1. It ensure research data and records are accurate and complete making data understandable to people outside the project. 3. Publishers are also now requiring data to be publicly available. How will the data be collected and organized? How will we document our research data and processes? What privacy concerns or access rights do we need to consider? Where should I submit my data for archiving, preservation and public access? The Office of Management and Budget (OMB) Circular A-110 describes the administrative requirements for grants and proposals awarded to institutions of higher education, hospitals and other non-profit organizations. In 1999, Circular A-110 was revised to include a data sharing component under the provision of the Freedom of Information Act which requires grantees to provide access to research data funded by the federal government in a timely manner. See Public Access Policies for more detailed information about agency requirements.